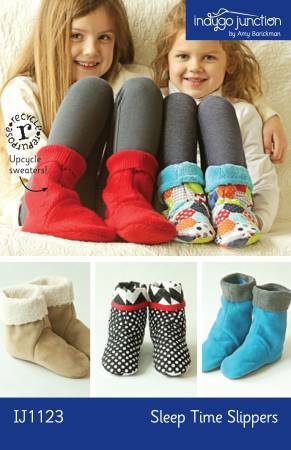 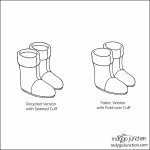 Make a pair of comfy slipper socks for your favorite little one using recycled sweaters, quilted cotton, minky, sherpa or fleece. 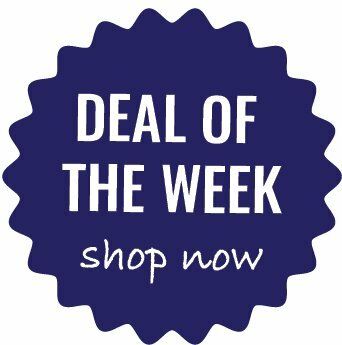 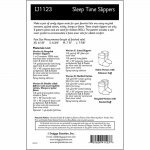 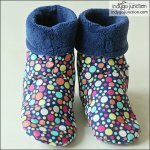 These simple slippers use only 3 pattern pieces and are sized for children (XS-L). 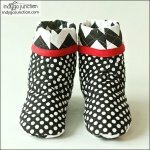 The pattern includes a sole insert pocket to accommodate a foam inner sole for added comfort.